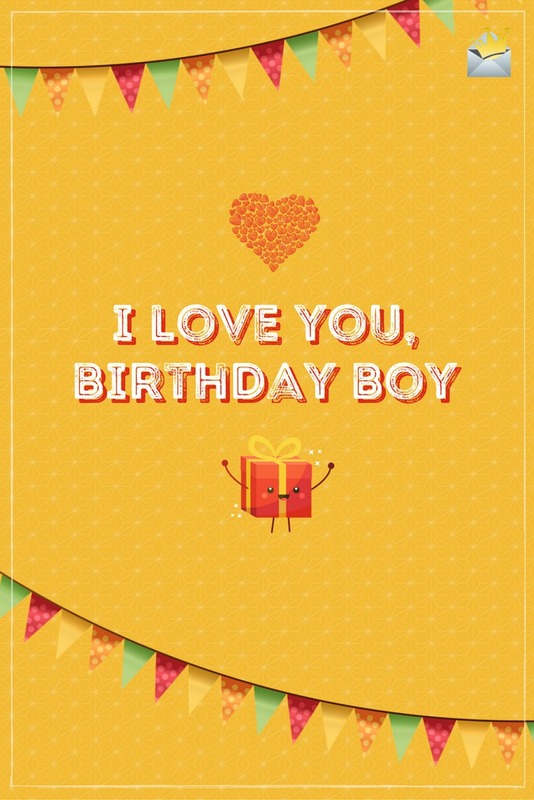 Wishing “Happy Birthday” to your special guy can sometimes become as a sweet moment for him, as it would be for you. Men might not be so eager to hear or read birthday wishes, but -let’s not fool ourselves- love and affection is always welcome when it comes from somebody you care about. Some festive attention can be the warm intro to a day of true celebration. Happy Birthday to my own special guy. I love you so! I’m so glad I bumped into you one day! Today it’s the day to celebrate this, too. Happy Birthday! You’re the guy I’d like to spend my day with. Happy Birthday! The secret of your love is no mystery to me. “Happy Birthday” from an enchanted girl. You are the perfect combination of dynamic & sensitive in a man. Happy Birthday, I’m so in love with you! If I sometimes can’t hear what you’re saying, it’s only because my heart is beating so fast. Happy Birthday, my love. This girl’s been lassoed, but she’s not in captivation. Happy Birthday, cowboy, you’re my saviour. You take my breath away. 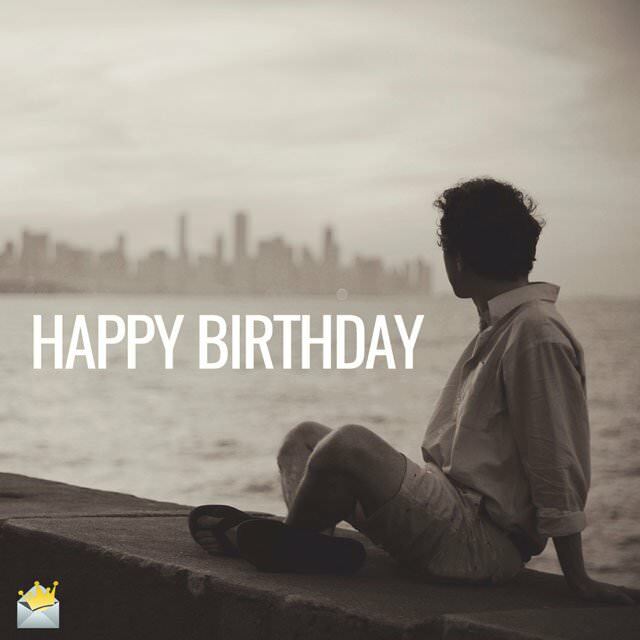 You are a dream come true & I’d like to wish you “Happy Birthday” from the depths of my soul. Happy Birthday, handsome baby! You mean the world to me! You are definitely sweeter than the birthday cake I’m bringing you tonight! Happy Birthday, my sweet love. Just like nature needs sunlight, my heart needs your love. Happy Birthday! Your love makes me feel the luckiest girl alive. Happy Birthday, baby! They say you only live once, but thanks to you, baby, I feel re-born. 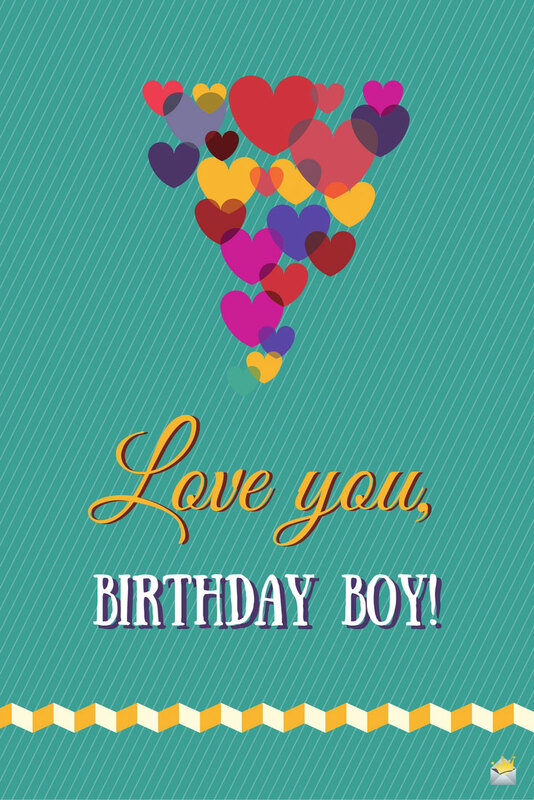 Happy Birthday, love! How can a man be so beautiful and strong at the same time? This girl is still trying to find out the secret. Until then: Happy Birthday! Your love has brought me more luck than a four-leaved clover! Happy Birthday, you’re my true lucky charm. I’m literally under your spell and not interested in finding any antidote. You’ re the love magician, Happy Birthday! If this is a dream, I don’t want to wake up into reality for no reason. Happy Birthday, you wild dream! I was ready to kiss some frogs in my life, but then I found the prince himself! Happy Birthday! Wishing you a very, very happy birthday and hoping our relationship will blossom and stand out like a rare flower. Hugs & kisses, love & gratitude, time & affection are going to be my primary birthday presents today. Happy Birthday, my love. This day is the perfect opportunity to officially re-state something I’m saying every single day: I love you. Happy Birthday! Happy Birthday to the most commonly recognized star that fell on earth! Happy Birthday, my heavenly creature! 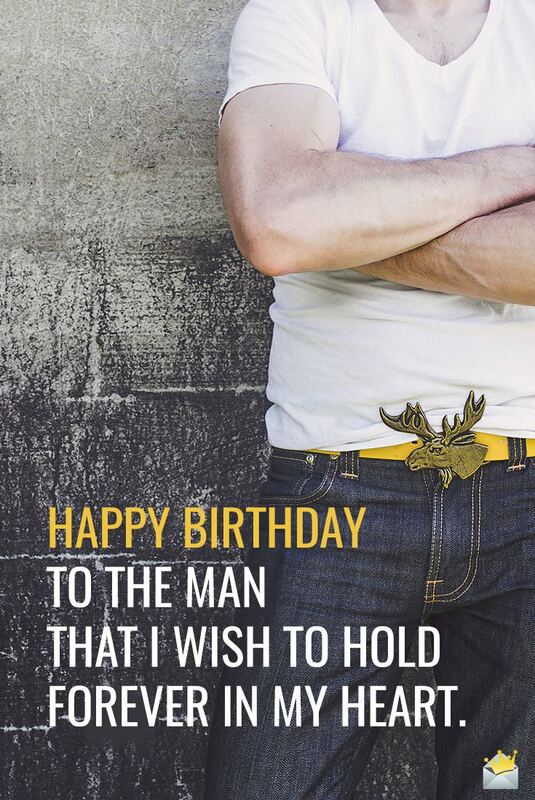 Your birthday gives me the opportunity to say it loud: “I love you + Happy Birthday”! Happy Birthday to the man that came into my life and filled it up with happiness. On your birthday, I’d like to wish two things: all the success & recognition to you, and all the love to the both of us. Happiest of Birthdays!!! We might not have arranged a party, but anything we do together with our friends tonight is going to be a celebration. I love you, honey! Happy Bday. I love being in your arms & I know you like it, too! So, that will be my first Birthday gift tonight! Happy Birthday! My future is bright simply because I have a wonderful man like you in my life. Nothing will ever change my love for you. Happy birthday, my dear. Did you know that you are the one behind my every smile? Cheers to my wonderful boyfriend. Happy birthday. You are the sweetest and most fabulous person I know. And I’m so glad that you belong to me. Happy birthday, my love. My wonderful boyfriend is my passion, my wealth and my life. Happy birthday, sweetheart. On this special day, I just need you to know that I will forever be there to help you to smile because I love you. Happy birthday. My life would have been an abyss of total darkness had it not been for the beautiful sunshine you bring into my world. Thank you for being an angel to me. Happy birthday, my love. To find a true friend in your boyfriend is one of the greatest blessings that can ever be bestowed on a girl. And luckily for me, I see both my best friend and my soul mate in you. Happy birthday. When you are lucky to have the best man in the world whom you love and who loves you in return, it becomes a sin to ask more from God. 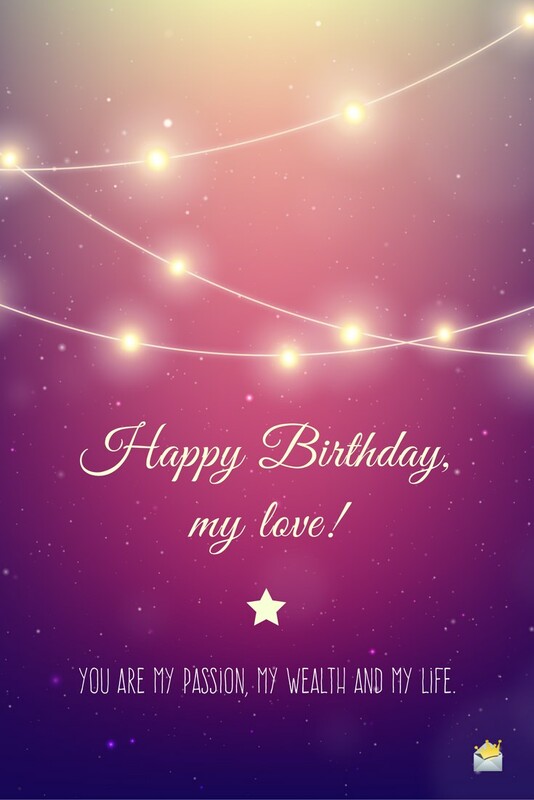 Happy birthday, my amazing boyfriend. You and I have something special that many couples can never have in a lifetime. Thank you for being the one who puts a smile on my face. Happy birthday. You are so wonderful that the worst crime anyone could ever commit in this world is to break your heart. And being the one who loves you the most in this world, I certainly would rather die than commit that crime. Happy birthday, my love. If I was given all the time in the world to write about how much I love you, I still wouldn’t be able to list all the reasons why I love you so unconditionally. Happy birthday. Babe, you are plus one today, and that calls for a huge celebration. I hope your birthday is as glorious as you make my life. May true happiness enclose your life today and forever. Happy birthday, my sweet one. You bring everything good in this universe into my life, and for that, I just want to say thank you. Happy birthday, my handsome prince. You are the joy of my life, honey. On your anniversary, may oceans of pleasure and magical surprises fill your life. Thank you for touching my heart in a way that no one can ever do. I love you so much. Happy birthday. May this new chapter of your life be very good to you. I might not say it often, but no one can ever make me half as happy as you make me feel. Happy birthday, my sunshine. My heart is the happiest place in the universe because you reside in it. May this special day lead to an escalation of happiness in your life. Happy birthday. Every day I am humbled and honored by the opportunity given to me by God to be the lucky girl/woman in your life. Happy birthday, my love. Babe, there’s nothing in this universe that has the ability to enrich and decorate my life like you do. On your Big Day, it’s my hope that your life will be enriched and decorated as much as you do mine. Happy birthday. What makes me happy is seeing you happy, which is why there’s nothing I wouldn’t do to ensure happiness rains on you. Happy birthday. My love, I wish you all the best as you mark your anniversary. Thank you for being my safe haven and paradise. Sweetheart, every single time I look at you and know that you are mine is a reminder of how good God has been to me. Have a blissful birthday. Every moment I get to spend with you is as precious to me as a priceless gem. May your birthday today bring into your world incredible happiness beyond your imagination. Have a great day. My agenda is to make you happy every blessed day of your life. And that is exactly what I shall do until the end of time. Have a glorious birthday, sweetheart. Why do I want to be with you all the days of my life so freaking bad? There are a billion reasons why. Happy birthday, sweetheart. Sweetheart, my love for you is bigger that the blue ocean because no one can ever make me feel the way you do. Happy birthday. A day without your presence feels like the world without the sun. Let’s stay together until the end of time. Happy birthday. Babe, did you know that the sweetness of your kiss is worth more than a billion bucks? Happy birthday. Sweetest one, my biggest wish in life is that you and I will stay together forever. I need you as much as the flowers need rain and sunshine to blossom. Happy birthday. Your love is my special compass rose. Even if I go trillion miles away, I will still find my way back into your arms. Happy birthday, my sweet love. I wish I could fix your picture in the sky, for the entire world to witness how handsome and special you are. Happy birthday. Happy Birthday, my love. You are my passion, my wealth and my life. Your presence is brighter than the sun and stars together. Your touch brings happiness to my soul. Your kiss takes me to a place more joyful than paradise. Happy birthday. Babe, on your special day, I hope you know that I can never exchange your love for anything here on earth or up in the Heavens. I love you. My dear, you are brighter than the morning sunshine and sweeter than a fresh honey comb. I found myself when I found you, for you bring life into my soul. Happy birthday. I would rather have you in my life and be a pauper than be the richest person in this world and live without your love. Happy birthday, my dear. My dear, with your love in my life, my heart can never break, my smile can never fade and my world shall never know darkness. And that is why I will prefer living a minute on earth with you than a thousand years without you. Happy birthday. The reason why you are so dear to me is that even if I traveled the entire universe, I would never find anyone as wonderful as you. May your Big Day be as beautiful as the sky. Just like the sun rays light up the world, so does your love illuminate my entire life. Happy birthday, babe. Babe, you are my life, my happiness, my pride and my everything. It’s a miracle how I was able to survive before you came into my life. Happy birthday. If someone asked me to tell them why I can’t stop loving you, I would be able to give them over a trillion reasons why. Thank you for constantly reinvigorating my soul. Happy birthday. I stopped dreaming the moment I got you because when you came into my life, I achieved all the good things I had been dreaming of all my life. Happy birthday. My dear, I love you so much and want to be with you every second of my life. On your birthday, I wish you nothing but the indescribable happiness you bring into my life. There isn’t a single day that goes by that I don’t fall in love with you because your love nourishes my soul. Happy birthday. Honey, your love makes this world a place worth living in. Without your love, happiness in my life would have been as rare as a unicorn. Happy birthday, and thanks for making me the happiest woman/girl in a romantic union. I get scared whenever I try to imagine life without you. That’s how much you mean to me. Thank you for bringing me all that’s beautiful in this world just by being in my life and loving me the incredible way you do. Happy birthday. The sound of our hearts beating next to each other is my favorite sound on earth. Sweetheart, I have never known love so true like the one we share. Have a joyful birthday. Wishing a fabulous birthday to the one and only true love of my life. Every day with you in my life is worth more than all the treasures of the universe. Sweetheart, this is your day. Celebrate it knowing that my love for you is as endless as the sea and as big as the universe. Happy birthday. I can resist virtually everything on earth with the exception of your sweet love. 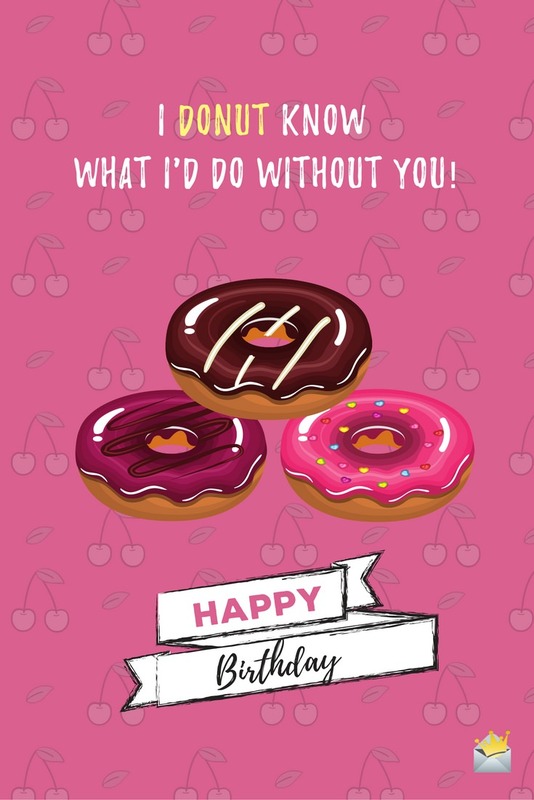 Honey, I wish you a birthday that is as special as your life is to me. I can never stop loving you. Sweetheart, my love for you is the most powerful thing in the entire universe. Not even God has the power to make this love end. Happy birthday. My number one calling is loving you, and that is what I shall do until the day my heart stops beating. Happy birthday, my precious love. I would die a thousand times just to put a smile on your face, sweetheart. Such is the depth of my love for you. Happy birthday. I am in love with an extraordinarily handsome and caring guy whom I think about every second because I can’t help myself. If you care to know who he is, all you need do is take a look into the mirror and you’ll see him. Happy birthday. If my money were to grow wildly like my love for you, then by now I’m certain I’d be richer than Jeff Bezos. Happy birthday, babe. I will run a thousand full marathons a day just for you. Happy birthday. Sweetheart, you amaze me so much with how well you are able to take care of my heart despite the fact that you did not study cardiology. Happy birthday. You make me feel like a billion-dollar bill. Happy birthday, my dear. Babe, on your special day, I need you to know that you mean more to me than being in the Oval Office means to Hillary Clinton. Enjoy your day! You are so dear to me that even if I were born dumb, I would be able to voice out the words, ‘I love you’ to you! Happy birthday! If burning all the oceans in the world would put a smile on your face and happiness in your heart, I wouldn’t hesitate for a second to do that. Enjoy your birthday, my love. For being such an awesome boyfriend to me, may you someday make it on the cover of Forbes magazine smiling next to Donald Trump and Oprah Winfrey. Have a wonderful birthday. You are the love of my life – today, tomorrow and for as long as the sun keeps burning. May we continue to be inseparable like a fat kid and his cake. Happy birthday, sweetheart! On your birthday, I want to assure you that my love is like the best condom in the world. It will protect you whenever things get hard. Happy birthday. Babe, you keep going like this and soon I’m going to have to buy you a walking stick. Have a great one! Happy birthday to my adorable boyfriend who has just become wrinklier today. Just so you know, I will continue to love you more and more with each new wrinkle you get! Happy birthday! You are now entering the aged zone. Enjoy the ride. Keep calm it’s only your birthday, not your death sentence. Wishing a super duper happy birthday to the most wonderful boyfriend in the world. May this day make you as happy as a lottery winner. May our union last as long as the career of the Rolling Stones. I love you so much. Happy Birthday. Happy birthday, sweet love. May your blessings be as gargantuan as President Trump’s ego. Happy birthday to my wonderful boyfriend, who despite not being a cardiologist, takes good care of my heart much better than any cardiologist on earth can ever do. If loving each other were a crime, you and I would be more notorious than the outlawed duo Bonnie and Clyde. Happy birthday. On your anniversary, may God light up your life like a Christmas tree. Enjoy your day, sweetheart. If Bill Gates were to give me a dollar for every reason why I love you, he’d run out of money in the twinkle of an eye and become the poorest man to have ever walked the surface of the earth. Happy birthday. Sweetheart, for making my life a truly happy one, may you be the happiest person in the village of the happy. Happy birthday. Happy birthday, my sweet love. May this spanking new age make your blessings grow bigger than Arnold Schwarzenegger’s muscles. Enjoy your day. Wishing a beautiful birthday celebration to my best friend and lover. Babe, thank you for loving me and caring for me in the most extraordinary way possible. I am colossally blessed with good luck to have such a magnificent soul in my life. I truly would be lost if it wasn’t for you. Thank you so much for being my lover, my best friend and my inspiration. Have a great day. Sweetheart, you came into my life and gave me the best things in life without asking for anything in return. I shall be eternally grateful to you for that. Since I can never repay you for all the magical moments and happiness you inject into my life, on this outstanding day of yours, I pray that the good Lord will bestow unlimited blessings and happiness upon you. When I think of the most loving and caring boyfriend in the world, I think of none other than you, my amazing boyfriend. Sweetheart, because of you I can soar above the sky without wings. I’m so honored to have a phenomenal boyfriend like you to share my love and my life. May happiness forever touch your life. Happy birthday. My darling boyfriend, you have been right by my side through the good times as well as the darkest of times. I can’t thank you enough for being such a loving and supportive boyfriend. If I had the power of God, I would bless you with an everlasting life filled with eternal happiness. Happy birthday. My life was an ordinary one until the very first day I set my eyes on you. You came into my life and made it rise and shine like the sun. You helped me to discover beautiful things about myself that I never knew existed. For all the amazing things you have done for me, I say, “thank you” from the depths of my soul. Happy birthday! Adulthood comes with many challenges. I pray you never allow any challenge you encounter on your path to greatness defeat you. Happy 18th birthday. Becoming an adult is one of the greatest and most exciting chapters of life. I’m so glad to be that special person in your life to celebrate this remarkably special day with you. Happy 18th birthday, my love. Happy 18th birthday to the most amazing boyfriend in the world! Babe, your adulthood days have just begun, and it’s my prayer that this special day will kick-start the beginning of the most amazing episode of your life. Finally, I’m dating a real man! Happy 18th birthday, sweetheart! My love, this is the first day of the beginning of your life as a man, and by Jove, I shall help you celebrate it to the fullest! Happy 18th birthday! Yay! The day we had been waiting anxiously for has finally arrived! Today, you are formally an adult! Babe, may life fill your adulthood with all the happiness you deserve. Happy 18th birthday. Congratulations on finally bidding farewell to the world of teenagers. I’m confident that your 20s are going to be as fabulous as your sweet love is to my heart. Happy 20th birthday, my love. Happy 20th birthday to the only man in the world I wish to spend all the days of my life with. I love you so much, sweetheart, and I hope you have a magnificent 20th birthday celebration. My dear, the most fabulous years of your life has just began. Together, you and I shall enjoy every moment of life to the max! Happy 20th birthday. Happy 20th birthday to the love of my life. Honey, here’s to another year of making beautiful memories together. I love you so much. On your 20th birthday, may every single dream you have become a reality and transform your life into the amazing paradise that your love has transformed mine into. Enjoy your day. Happy birthday to my boyfriend who turns fabulous 30 today. Sweetheart, may age 30 be as amazing to you as you have been to me. Happy 30th! Even if I were to possess all the riches of the world, I would never be happy if I didn’t have you in my life. That’s how amazing having you in my life is to me. Happy 30th birthday. Happy 30th birthday, sweetheart. Never has a 30-year-old looked as handsome as you do today. I hope you have the most fabulous day of your life. I can’t wait to party all night long with you! Here’s a toast to the most outstanding 30-year-old in the world. Babe, since you came into my life, you have brought me nothing but blessings and happiness. I don’t think my heart can ever love someone as much as it loves you. Happy 30th birthday. Wishing a fabulously happy 30th birthday to the one and only love of my life! Honey, may you always find the will to keep chasing your dreams. I love you. Hurrah! The only man who brings sunshine into my soul has just turned 30 today! Honey, this is definitely a milestone birthday that deserves nothing short of a big celebration. Let’s make tonight a night to remember! Life is too short, so don’t waste your precious time on anything that brings no happiness into your heart. Happy birthday, sweetheart. I have what it takes to be great because I have the love of a magnificent boyfriend. Happy birthday, my love. Nothing in this world feels more amazing than being the girlfriend of a special person like you. Happy birthday. Babe, my days have been merry and bright since you came into my life. You are indeed one-of-a-kind boyfriend. Happy birthday. My sweet and handsome boyfriend is without equal, and that’s a fact! Happy birthday, babe. Sweetheart, did you know that my most awesome dream came to pass when you became my boyfriend?! Happy birthday. Behind my every smile is you, my super amazing boyfriend. Happy birthday. You came into my life and painted my soul with the colors of the rainbow. Thank you so much. Happy birthday. A wonderful life is what I have because I have the world’s most wonderful boyfriend. Happy birthday, dear. Your love inspires me to reach for the stars. Happy birthday. My life will never be worth anything without you in it. That’s how much you mean to me, babe. Have a fabulous day. Sweetheart, I wake up from sleep every morning knowing that it is going to be a beautiful day because I have you. 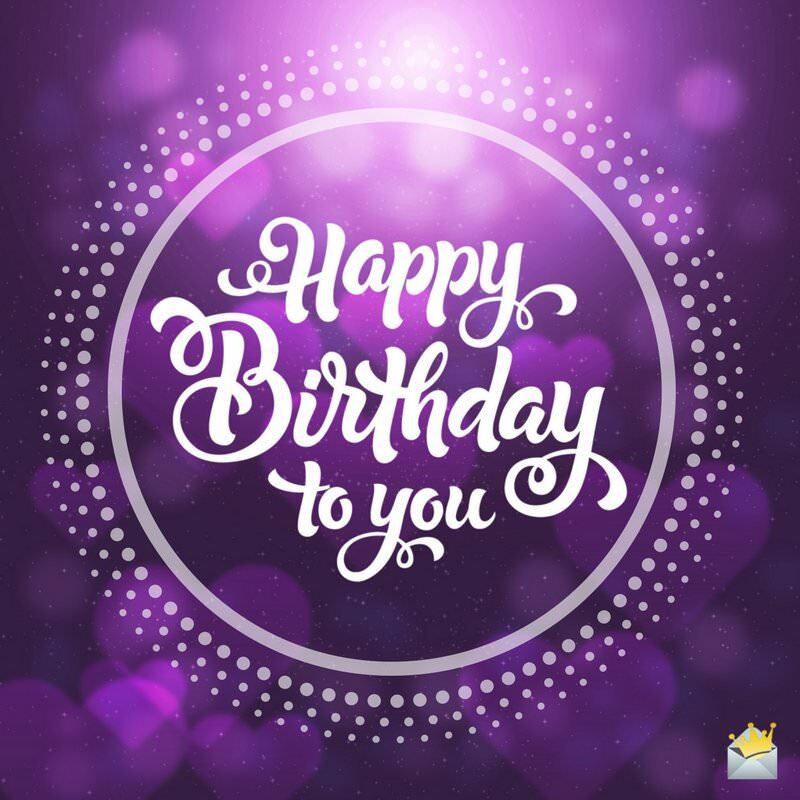 Happy birthday, and enjoy your day. Honey, one of my greatest joys in life is knowing that we belong to each other forever. I’m so blessed to be yours. Happy birthday. I shall forever thank my lucky stars for bringing such a rare gem like you into my life. Happy birthday, dear.